You are here: Home » Grocery Innovations Canada 2014: What’s in store for you? 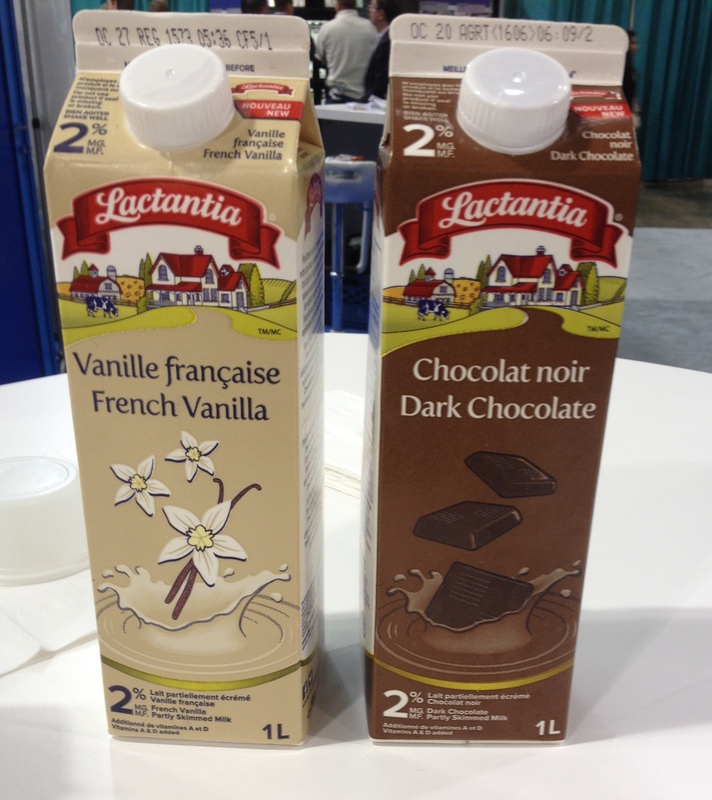 Grocery Innovations Canada 2014: What’s in store for you? Foods shows are fun – usually. I get a chance to sample all kinds of offerings while checking out what’s up and coming for local grocery stores or health food emporiums. So it was with great anticipation that I set out to explore the annual grocery industry trade show, Grocery Innovations Canada 2014. Natural and environmentally-friendly options, baked snack foods and gluten-free products, assorted beverages, coconut offerings –some old and some new were among those on display. 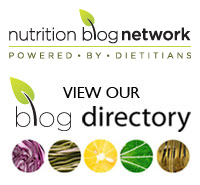 While there were definitely a few welcome innovations, there were also plenty in the way of misses along with those products that simply irked me as a dietitian. The cupcakes with pink or green icing were not masquerading as anything other than what they are. But that was not the case with all the products. First some of the innovations. 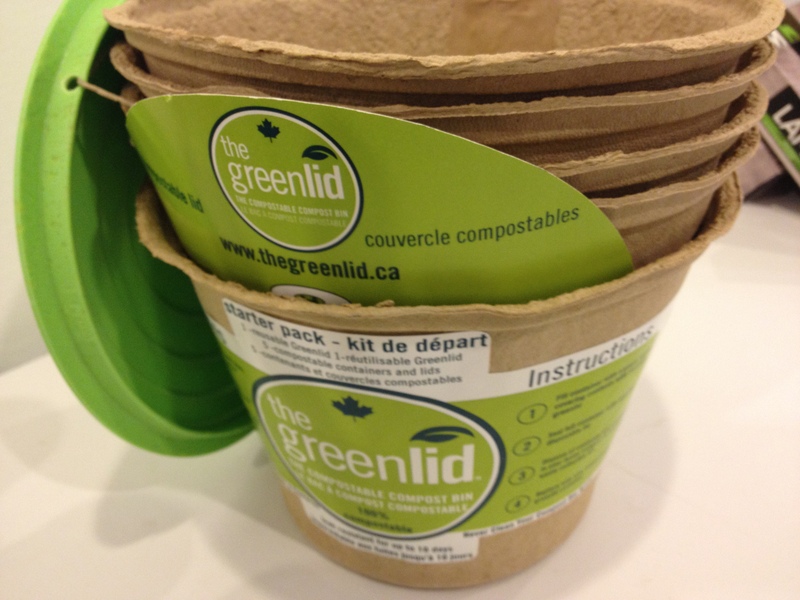 The Green Lid is designed for those who want to avoid mishaps with their compost or those who want just an easier and cleaner way to compost. The entire container can be dumped into your home composter or your municipal compost container. And it is leak resistant for up to 10 days! Look for it soon as it’s just hitting the market now. And speaking of your compost bin, are you tired of pitching produce that has gone bad in your refrigerator? 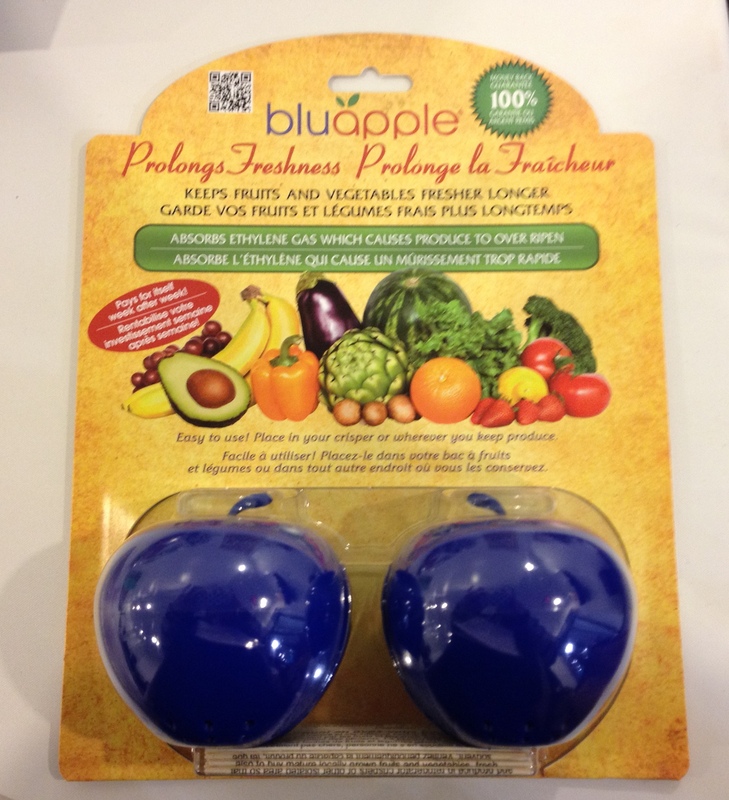 Then you might want to purchase the Blue Apple. It’s designed to absorb the ethylene gas in your fridge for three months. Ethylene gas is given off naturally by fruits and vegetables as they ripen. However, once concentrated in your refrigerator or other storage areas, the presence of ethylene gas continues to speed up ripening and hasten spoilage. You can also purchase refills. Baked crackers for snacking seemed to be a popular item – flavoured with all kinds of tempting seasonings. But I’m thinking these companies are highlighting the baked aspect due to their promoting good nutrition. So why then are they not making them whole grain? Almost every one that I checked out had enriched wheat flour as the first ingredient. 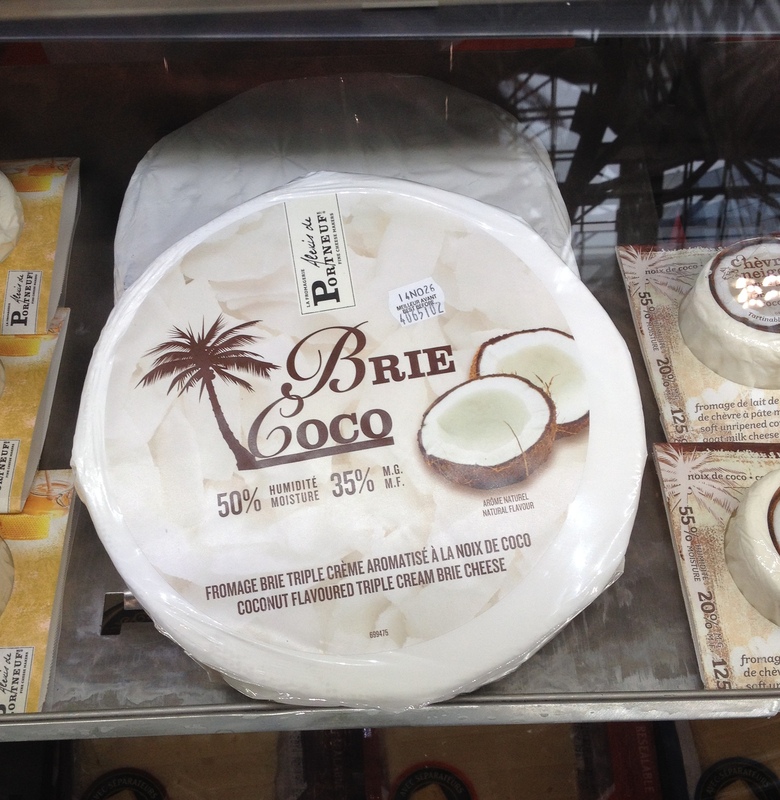 The coconut trend shows no sign of abating but to be honest, the coconut brie I tasted was ghastly. 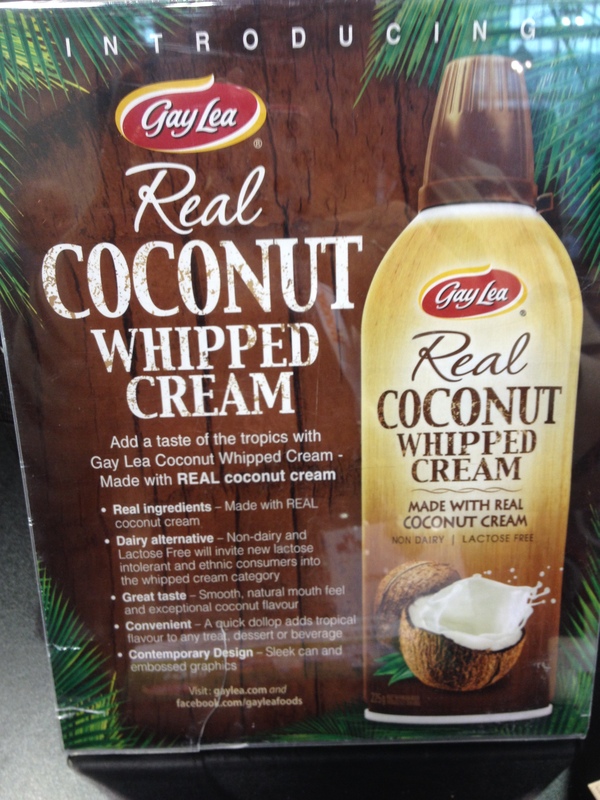 And do we really need a container that sprays out coconut whipped topping? Then there’s the Cinnamon Brown Sugar Cream Cheese. Is this supposed to be a breakfast option? It’s bad enough that many people are unaware that cream cheese supplies a paltry amount of protein but to up the sugar content on top of that makes it even worse. 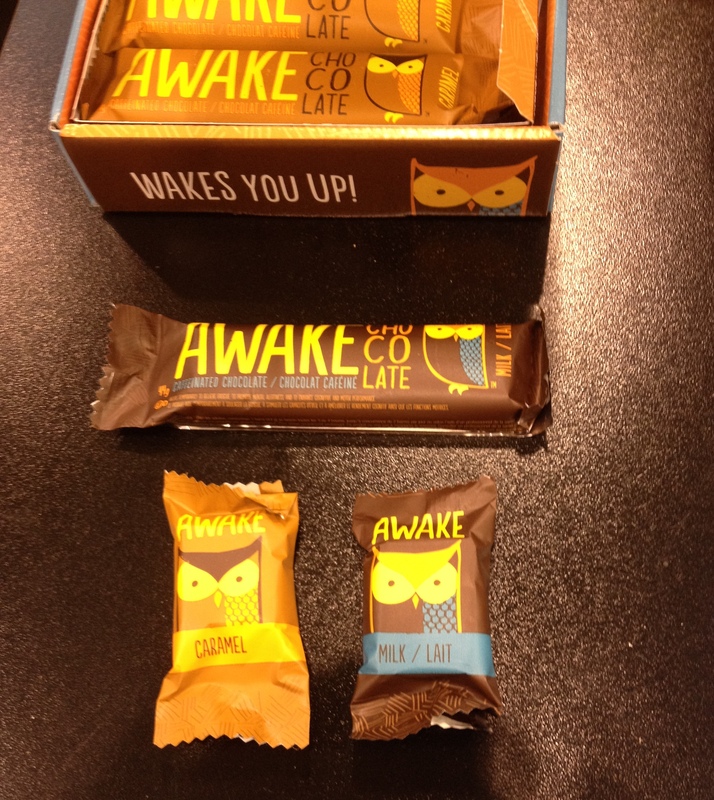 Awake Caffeinated Chocolate was described to me as “Red Bull meets Hersheys”. These chocolate bars with added caffeine, according to their promotional information are “Perfect for when you gotta get stuff done, and just don’t have the energy to do it.” Wouldn’t a range of healthy eats along with a cup of coffee fit the bill? And what happens if the kiddies get into the Awake bars? There were also all kinds of beverages such as French Vanilla Milk and Dark Chocolate – just in case you had not heard the latest on the health risks of added sugars. The varieties of water such as “supercharged” options also had me scratching my head. And then was a whole display case with Maple Leaf Natural Selections. This company is still at it – what I believe is completely deceptive marketing practices. Notice the “No preservatives added *”. This means you won’t see nitrates or nitrites on their ingredient lists. But you will see those such as cultured celery extract which is a source of these exact same compounds. The asterisk is somehow supposed to alert you to this. The small print states, “* beyond those naturally occurring preservatives and nitrites in the ingredients”. No preservatives added except what’s in the ingredients? Huh? So how is that “No preservatives?” What am I missing? In the past, I’ve seen “no artificial preservatives added” and am unsure how Maple Leaf Foods can legally make the claim they do. 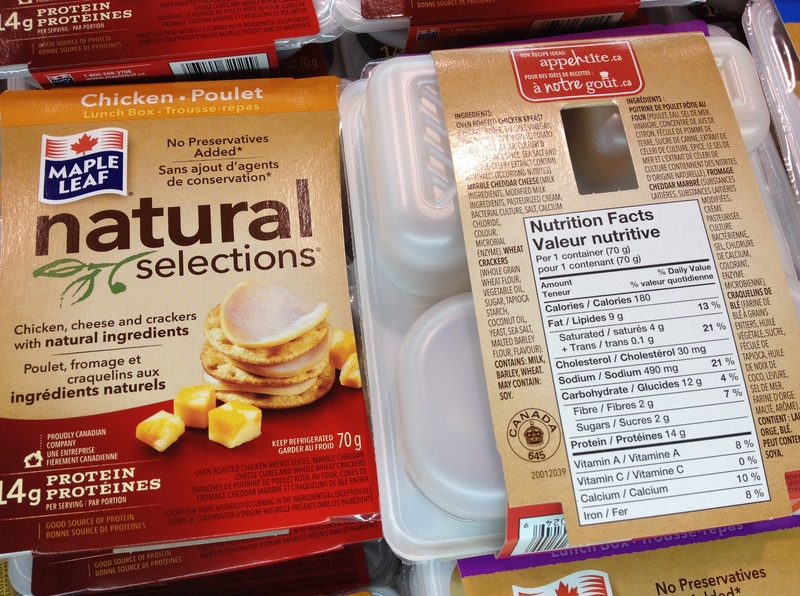 Maple Leaf Foods continues to try to hoodwink their customers. Don’t you agree that it’s time to stop? Have you come across any new products at your local supermarket that deserve accolades or any that you give a thumbs down to? Please share in the comment list.